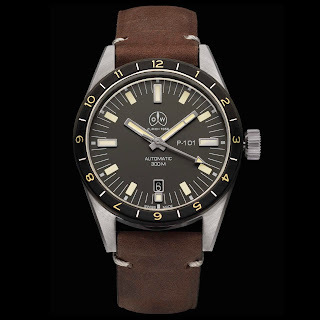 Need I introduce Ollech & Wajs, the brand responsible for the famous OW Caribbean 1000, the OW Diver and the OW Ocean diver’s watches of the late 50s, 60s and 70s – not to mention their equally famous aviation watches. Recently, they have been busy with a couple of new models that should help them further reestablish their great name once again, in the circles that matter. 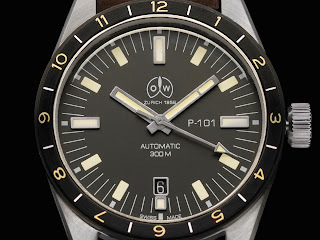 Unfortunately, I don’t come bearing tidings of reissues of any of the above dive watches, but I do have news of these two 300 meter, beauties, the P-104 and P-101. I hope you’ll find them as agreeable as I do. 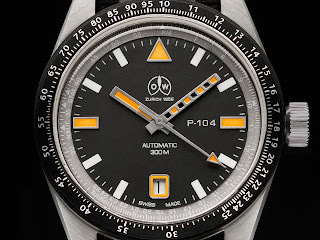 Inspired by the Lockheed F-104 Starfighter, the P-104 is the heir to the Selectron line of aviator watches produced by O&W. Designed to help both military and commercial pilots in a pre-electronic era, its unobtrusive and sober circular slide rule enables them to measure speed and distances to calculate flight time or fuel consumption. Based on a cockpit’s control panels for maximum readability it associates oversized indexes with a stylish black and white minute hand. Regulated by hand in OW’s factory, its ETA 2824-2 OW3 mechanical movement makes the P-104 an ideal navigation tool. The P-101’s name is a nod to the MC Donnell F-101, the first fighter jet in service capable of exceeding 1,000 mph, setting a world-record in 1956. 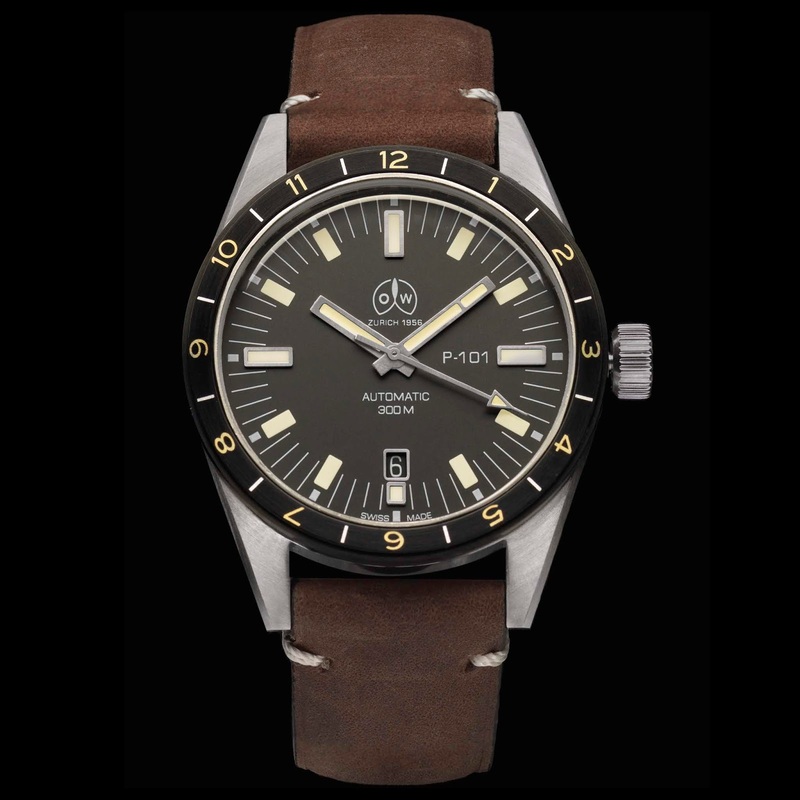 Inspired by military style watches, its design is both uncluttered and perfectly functional, paying tribute to the thousands of soldiers and officers who favored an OW as a reliable tool for survival during their time in Vietnam. 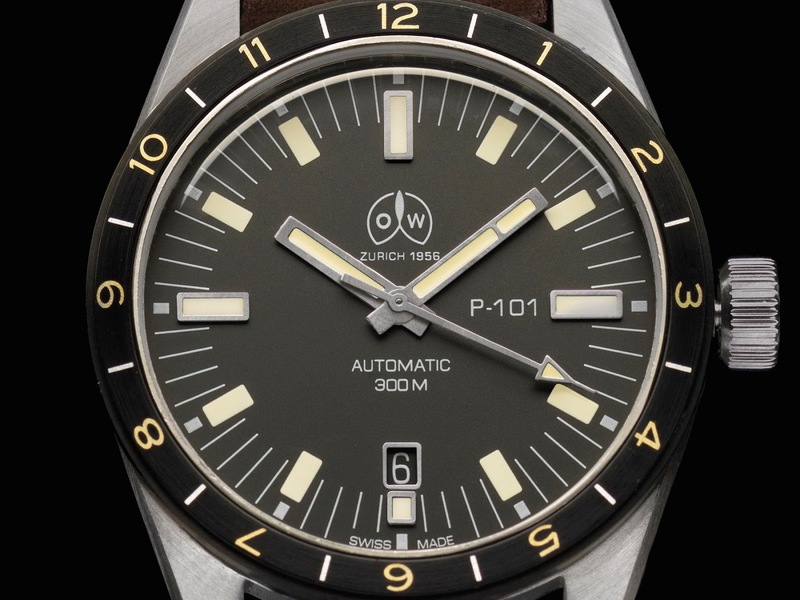 Faithful to the classical principles of the early OW models, it is crafted with well-balanced proportions, pronounced lugs, an extra size crown and semi-domed glass. 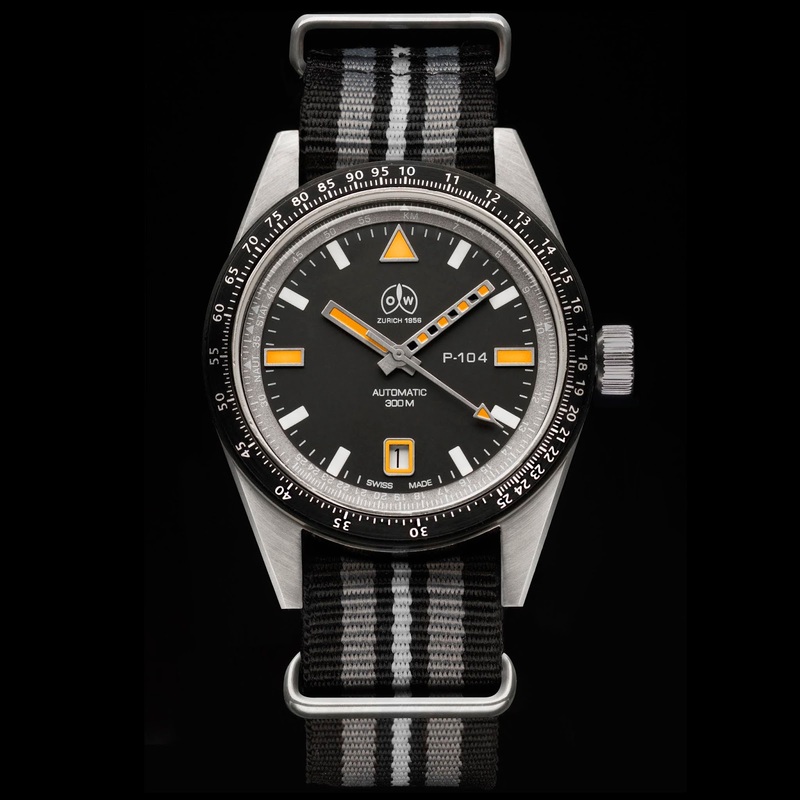 For its beating heart, OW has chosen a robust mechanical movement, the ETA 2824-2 OW3, carefully regulated by hand. The P-104 and P-101 watches have been handcrafted and assembled in the Swiss Jura region, like all OW watches. They are water-resistant to a depth of 300m, are equipped with sapphire crystals, and SuperLuminova hands and indexes. They are also guaranteed for 3 years against any manufacturing defects. Both watches are available for pre-order, now and will be physically available in early 2019 from OW’s online store and soon to be distributed through a network of certified watchmakers, currently in preparation. The P-104 has an MSRP of 1056CHF while the P-101 is priced at 956CHF. Thoughts? If these are anything to go by, a re-release of the OW Caribbean 1000 or indeed any of their other divers would be most welcomed. I think the P-104 on ts NATO is breathtaking! How ‘bout you?